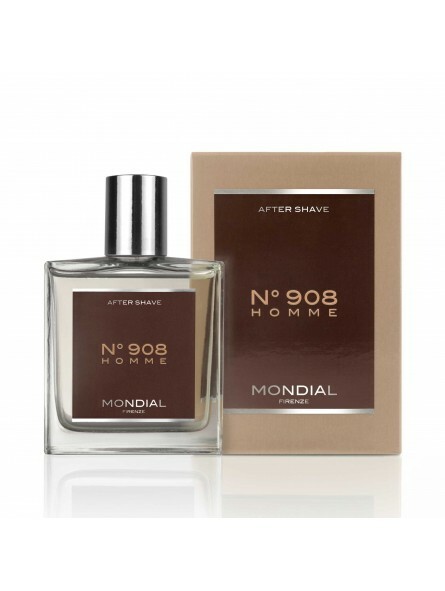 Mondial N°908 Homme Aftershave Splash Lotion 100ml. It is a unique after shave. Its special formula made up of provitamin B5 has a moisturizing effect, gives brightness and elasticity. It promotes cell regeneration and gives the skin a more youthful appearance. It contains Aloe Vera with vitamin C and E and also trace elements and antioxidants that fight free radicals and the effect of aging. It soothes the irritation of shaving with hemostatic and astringent action. Also suitable for sensitive skin. 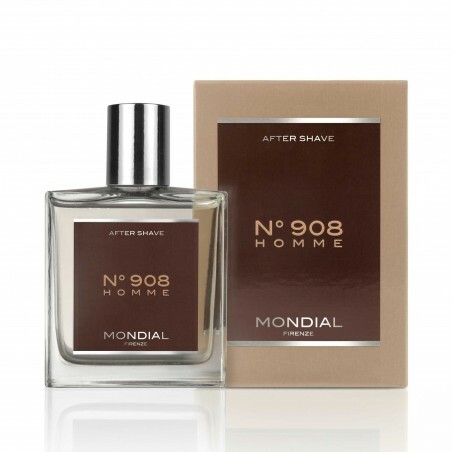 It is an excellent After Shave in the precious fragrance N°908, that will leave your skin beautifully soft, elastic and pleasantly perfumed. Format - After shave lotion splash 100 ml. Crystal bottle.